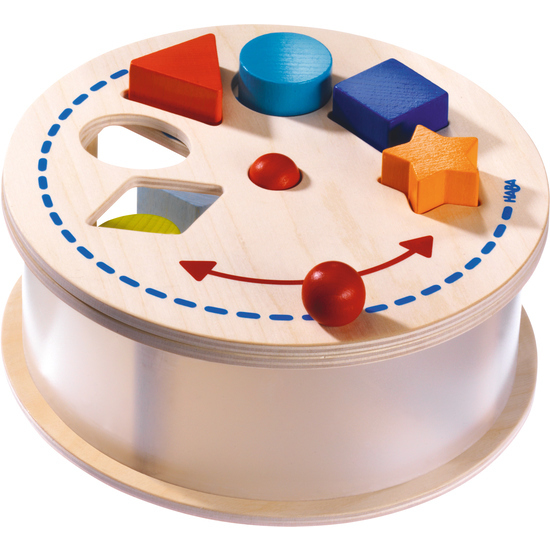 Little children are fascinated by toys that move and make sounds, particularly when they are the ones setting the sound in motion. The upper plate of our sorting box Rainbow Carousel spins around. The children sort the individual wooden pieces into the stenciled slot according to shape and color, which then clatter merrily into the sorting box. While the little ones are enjoying themselves, their fine motor skills as well as their color and shape perception are advanced.